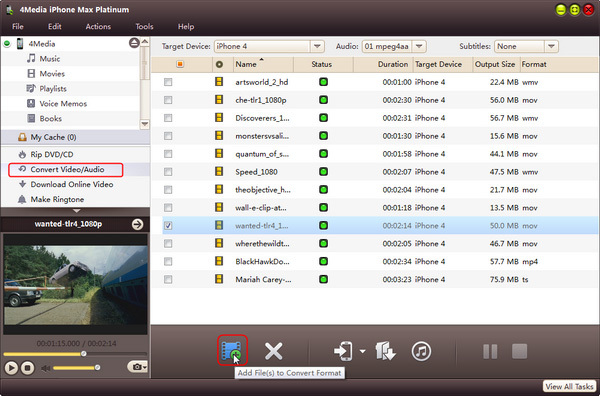 This tutorial can tell how to help you transfer media files between iPhone/iPod, PC and iTunes, copy DVD movies and non-iPhone videos to iPhone, make ringtone and download online videos by 4Media iPhone Max Platinum. 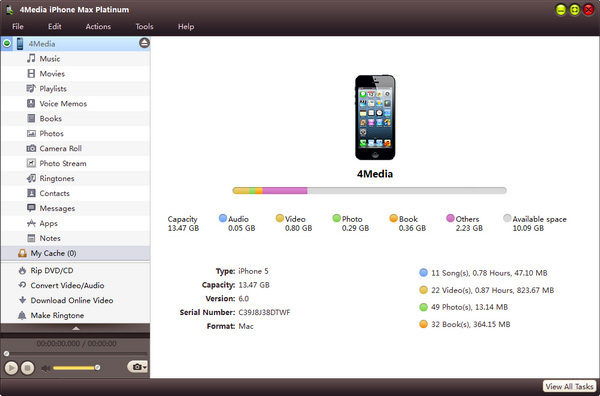 First, download 4Media iPhone Max Platinum, install and run it. 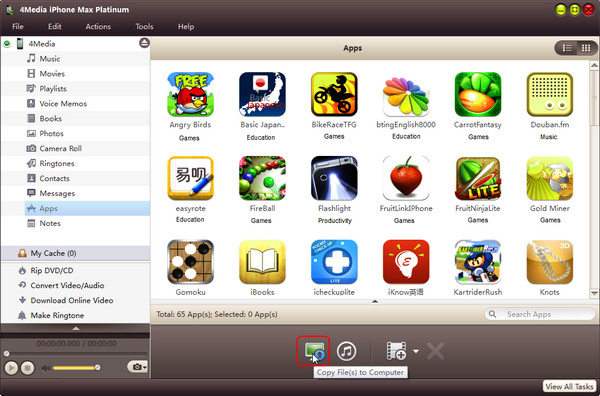 Connect your iPhone/iPod to computer, the application will recognize the device automatically and displays the device information in the interface. 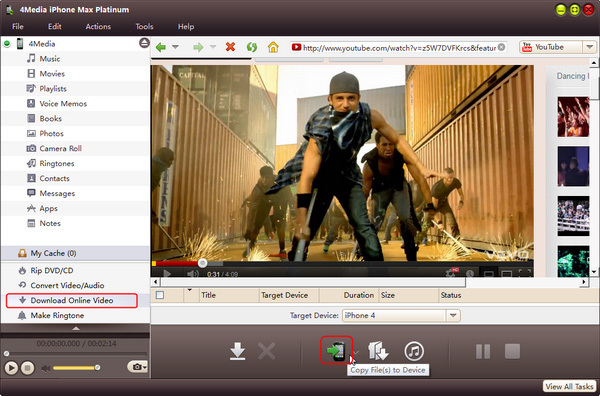 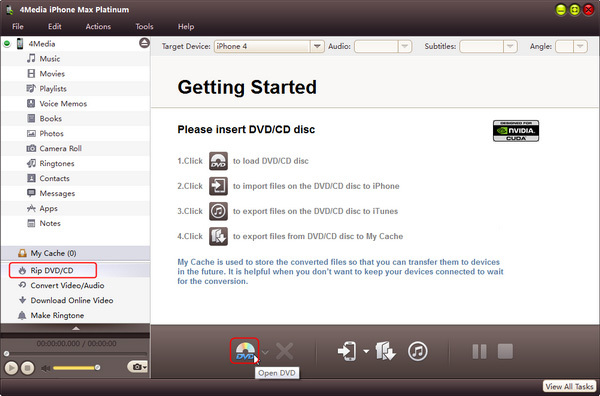 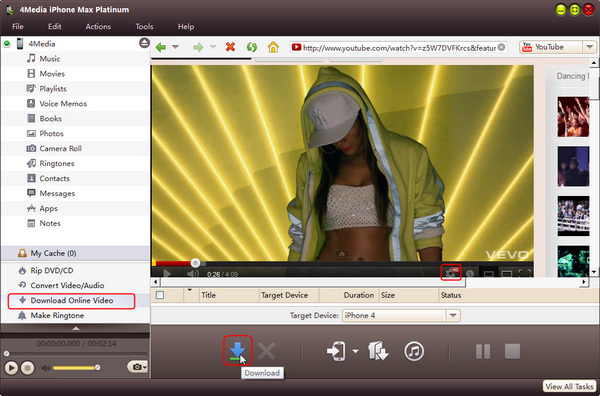 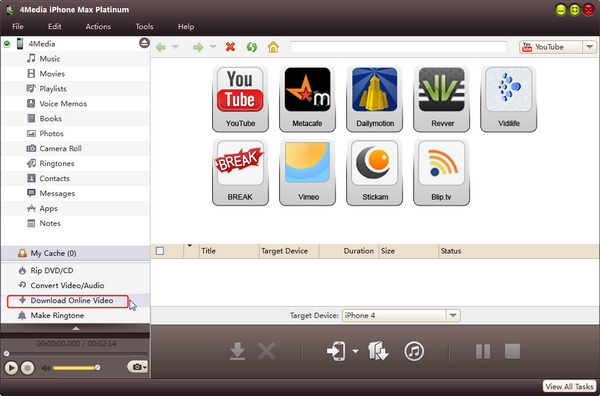 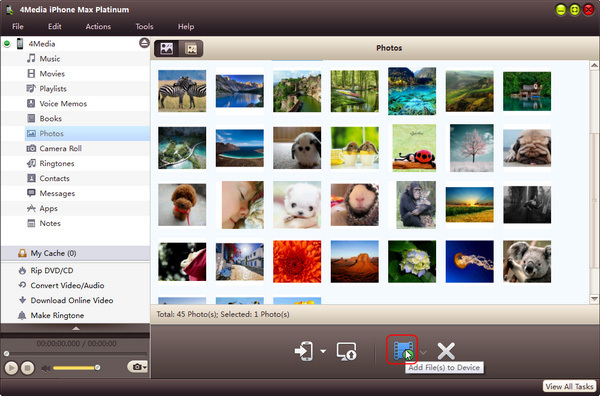 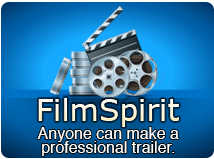 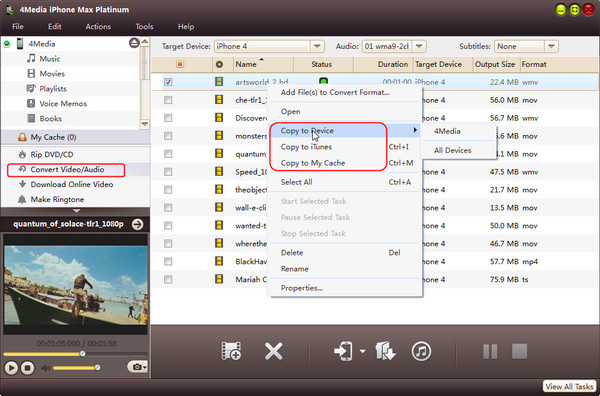 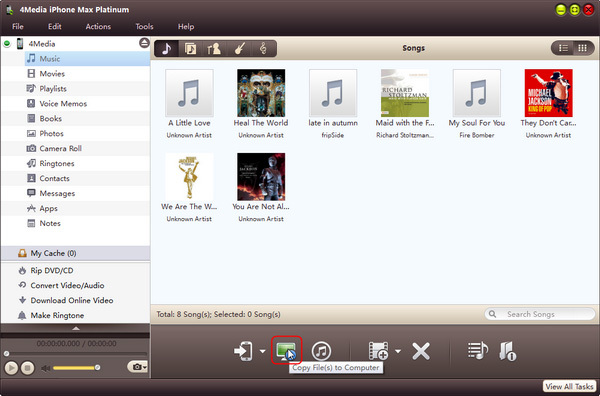 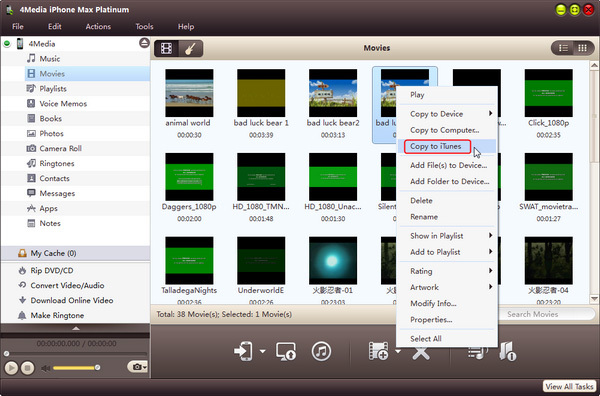 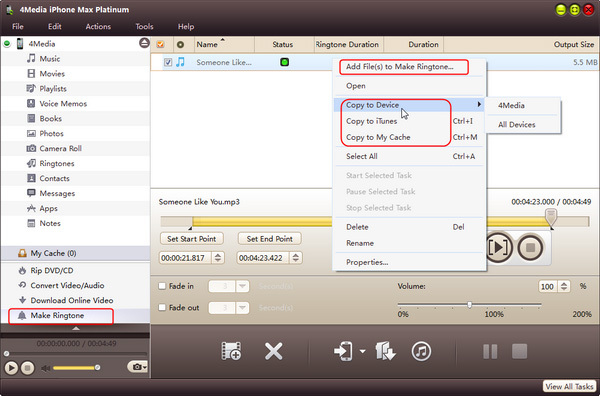 The program helps you transfer iPhone/iPod music, movies, books and photos to PC for backup.